If you're upgrading your steering, here are some key points to remember about hydraulic system installation and maintenance. 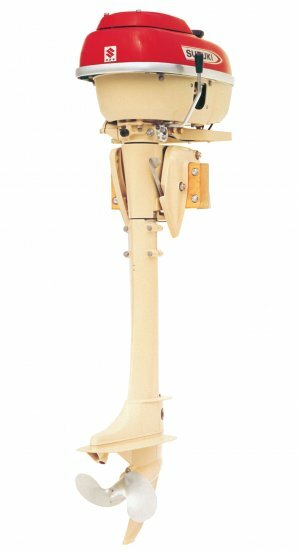 Let's say you own an older outboard-powered boat equipped with cable steering, and you’d like to switch it out for a hydraulic system. 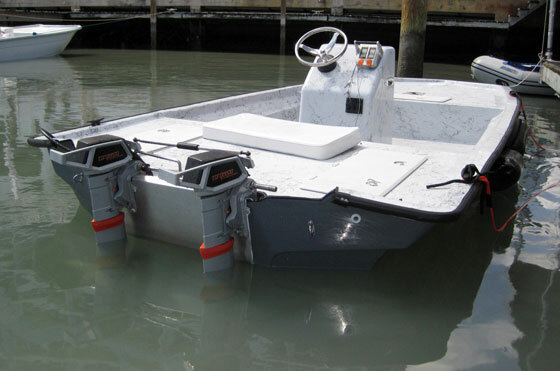 Maybe you just bought a new boat with an old hydraulic steering system already installed, but you'd like to upgrade it. Or maybe you'd just like to know how to maintain your factory-installed system. 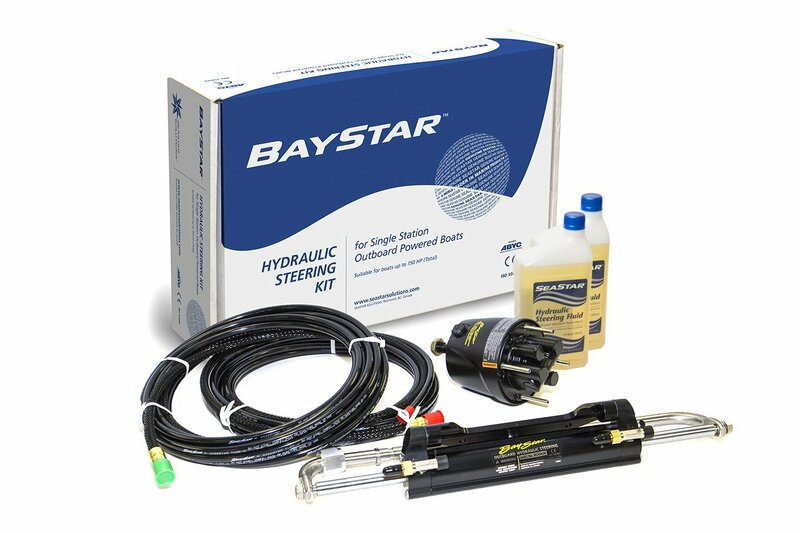 For a general background on what's involved in hydraulic steering systems, we'll discuss the BayStar system from SeaStar Solutions, for single engines up to 150 hp. The illustration below shows the elements of the system. 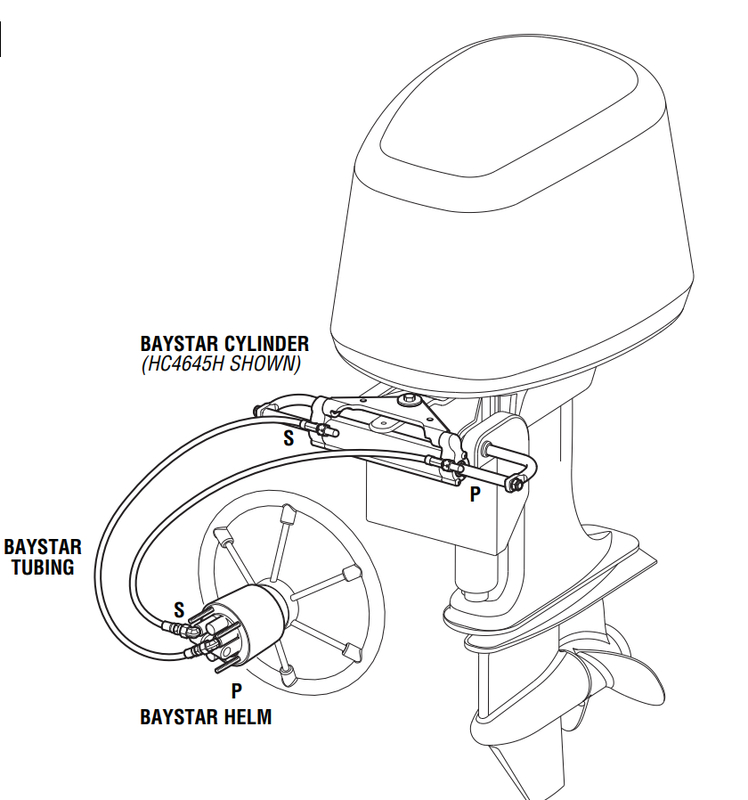 And below that we can see an illustration from the BayStar manual with the components of the basic system in place: a wheel mounted to a hydraulic pump mechanism, port and starboard hydraulic hoses, and a steering mechanism mounted on the outboard engine. This photo shows the parts of the BayStar hydraulic steering system for single engines up to 150 hp. The main elements of the hydraulic steering system are shown here: a steering wheel with pump, two hydraulic hoses, and the engine-mounted steering bracket and cylinder. Illustrations courtesy of the SeaStar / BayStar online manual. 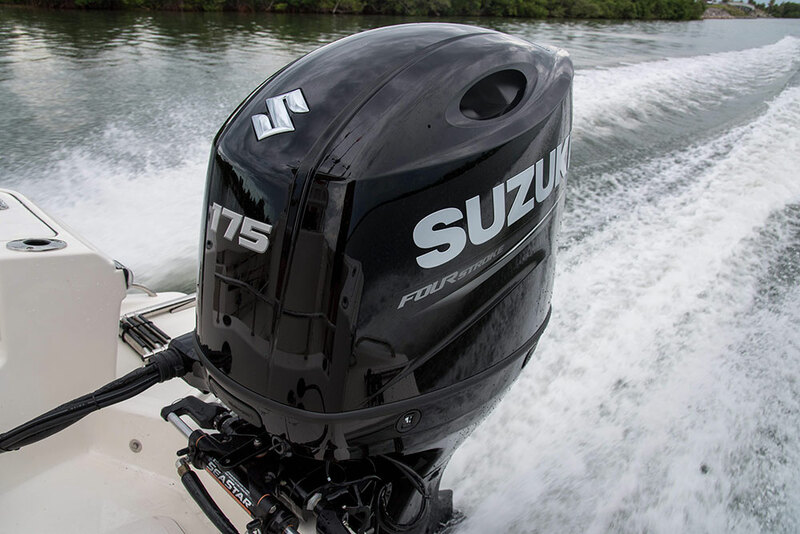 Right from the beginning, one of the most important decisions that needs to be made involves selecting a system that is sized appropriately based on the horsepower involved, whether you have a single or multiple-engine installation, your expected speeds, and to some degree the size of the boat. Equipment suppliers like SeaStar and Vetus are adamant in their recommendations to ensure that the selected system matches the loads expected in the use of the boat. Let’s face it, loss of steering at high speed or in the middle of a tight turn is a nightmare nobody wants to go through. 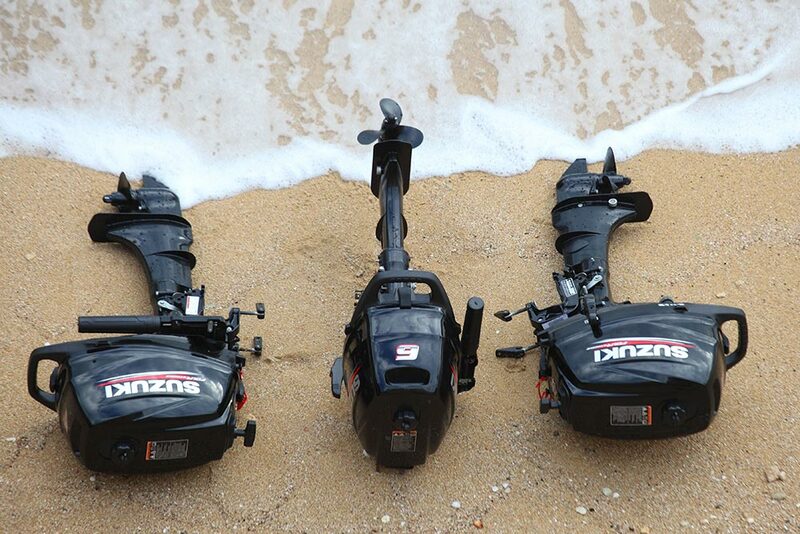 So you need to be sure the system you're considering is the right size for your boat and its intended use. Beginning with the steering wheel, make sure the mounting location for the new wheel won’t interfere with other moving equipment like throttle and shift levers. The ABYC even has a standard stating that there be a minimum of 2.5 inches of clearance between the outer diameter of the steering wheel and those other control levers. 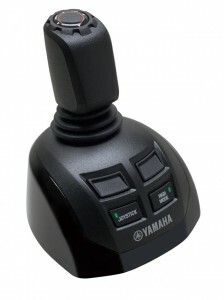 This is of course to ensure full motion and manipulation of the steering wheel without the risk of banging into the shift or throttle inadvertently. With a new installation, the helm/hydraulic pump will come with a mounting template to facilitate accurate drilling and positioning. Before you start drilling, confirm that any previously installed equipment will not interfere with or be damaged by these new holes in your console. This is really a "life of the boat" installation in most cases, so take your time in positioning this helm pump. The manufacturers of these systems will typically supply all the nuts, bolts, and other associated hardware to facilitate the installation. You can be sure that they've engineered all of this to be certain that every part of the system can handle the expected loads. Hardware like this often comes in different grades with varying tensile strength properties, and there's a big difference between grade-5 and grade-8 hardware. Don’t substitute anything for what is supplied. This is not something you want to take any chances with. 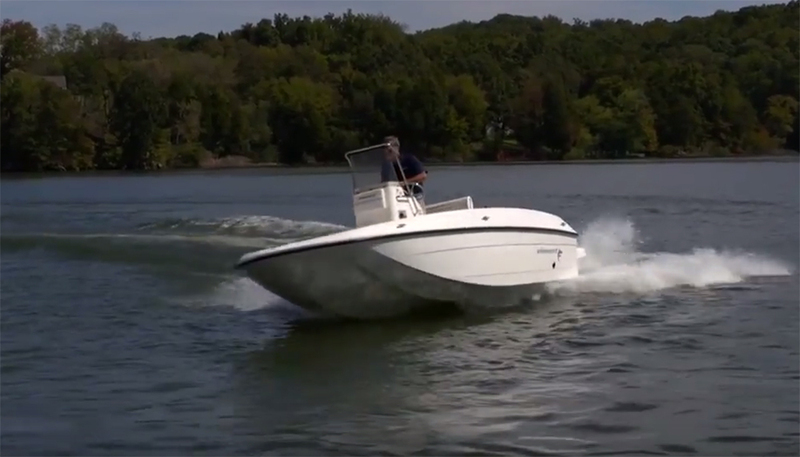 Remember that a steering system is one of only a few boat systems where what is known as a “single point” failure could be the cause for a total loss of steering control. An example might be the failure of a self-locking or “nylock” nut: These nuts are supposed to be used only once. Removing and reinserting a bolt or cap screw into the nylon/plastic collar inside the nut will diminish its locking capabilities dramatically. Nylock nuts like those on the support bracket are meant to be used only once. If you take them off for maintenance, replace them with new ones. 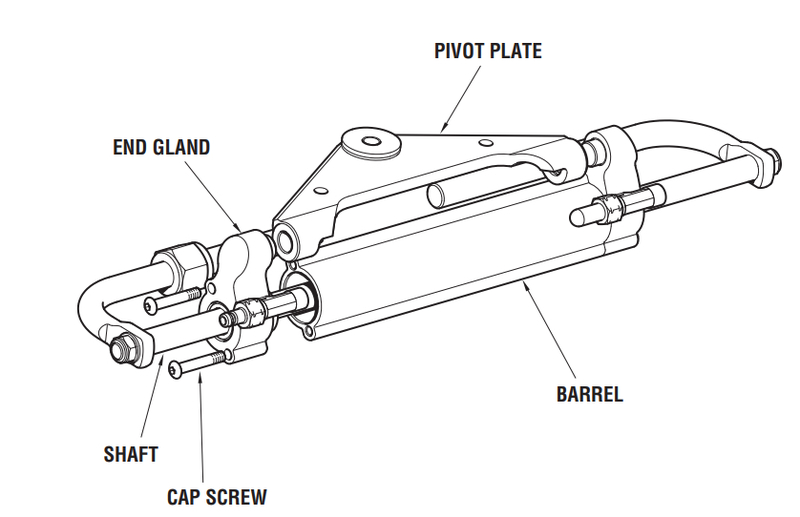 The illustration above shows nylock nuts securing the steering shaft at either end of the support bracket. If either of the nuts were to fail, the cylinder assembly could come loose, which would mean an immediate loss of steering control. So remember to replace those nuts with new ones if you have to remove them for any service work on either the steering control or the outboard engine. As part of any new helm pump installation, make sure that the hydraulic fill port is located on top to facilitate any air bleeding upon filling the system. Also, installation instructions may include nut and bolt tightening torque values, as well as warnings about overtightening. You will need a torque wrench or two if you're doing a new install, one calibrated to measure inch-pounds and the other in foot-pounds. Once the helm pump is installed, you’ll probably be routing and connecting the hydraulic hoses to the back side of the pump next. Again, use only the vendor-supplied fittings; they may not be standard pipe thread fittings, and any attempt to use standard brass fittings could damage the helm pump housing irreparably by raising a burr in the fitting or housing metal that goes unnoticed and enters the hydraulic fluid chamber. Understand that these hydraulic chambers must be kept hospital-clean at all times. All hydraulic systems, regardless of application, have small orifices inside the pistons and pumps that make the magic happen; any contamination or blockage of one of these super small holes can alter the direction of fluid flow or restrict it altogether, wreaking havoc on steering control in this case. Regarding the hydraulic hose type and length, again, never substitute other hose for what the manufacturer supplies. These hoses are engineered to deal with very high pressures that often exceed 1,000 psi. 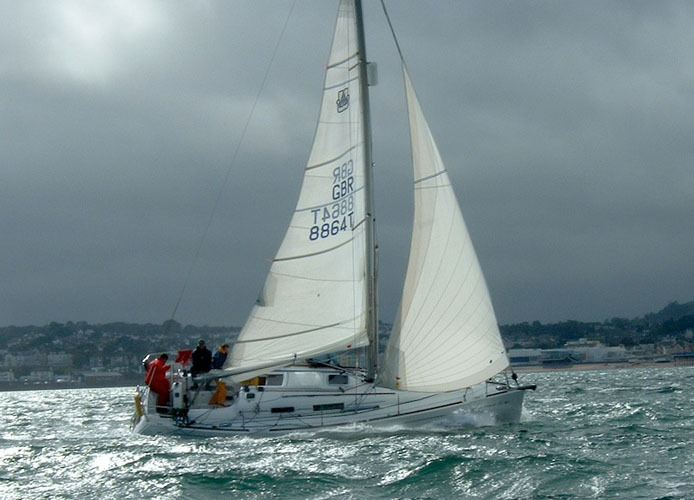 As for length, careful measurements need to be made from the helm with routing through the boat that ensures no contact with sharp edges that might damage the hose jacketing, and with a minimum of radius bends. Next comes the steering cylinder installation on the engine. Again, you need to carefully observe manufacturer recommendations for choosing the correct cylinder and associated hardware for your specific engine(s). 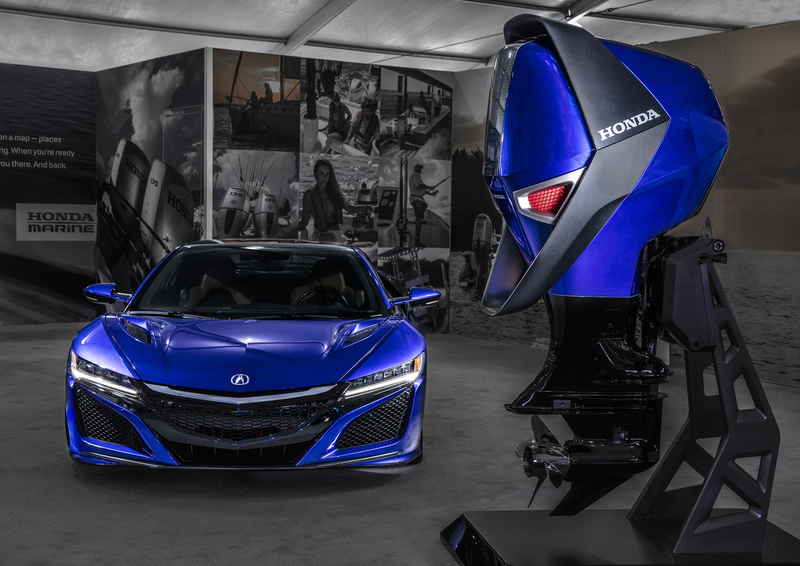 This equipment does vary based on exact engine brands and models. Also, this is another part of the installation where all nut and bolt tightening torque values must be followed to ensure trouble-free service. Next you’ll need to fill your system with the factory-recommended hydraulic oil and bleed any air out of the system. Follow the instructions in the shop manual, and be patient. SeaStar Solutions offers over two pages and a five-step process for accomplishing this task, and it involves you and a helper to get the job done. When you've finished filling, you need to perform their system air test by placing the engine in the center position and manually pushing the engine from side to side. Watch the steering cylinder body: If it moves more than 1/8”, this is a sign that there's still air remaining in the system and further bleeding is needed. 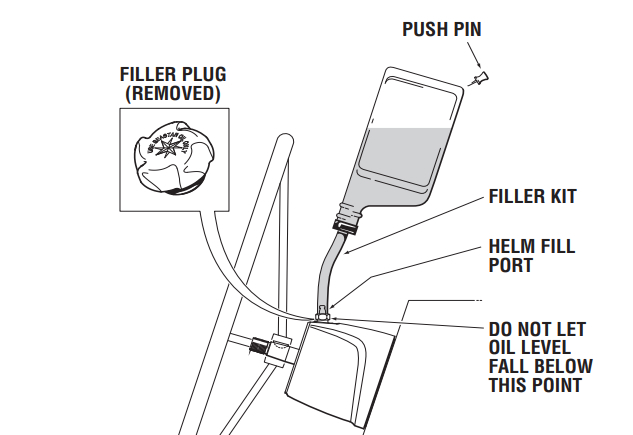 Follow the instructions for filling the system with hydraulic fluid and bleeding out all the air. Again, your steering system and its proper operation under all conditions is a vital safety consideration. So, regularly make sure the hydraulic fluid level is topped up. Check your steering response when turning the steering wheel. Does it feel stiff? Inspect your hoses and connection points to the motor cylinder and pump for any sign of fluid leaking. Check for binding, and for loose or worn components in the system. After 100 hours or every six months, in addition to checking all of the above, confirm the tightness of all nuts and bolts in the system based on the installation instructions. Check for any excess play in the system as described above - 1/8” max. Look for any signs of corrosion, which may require professional intervention. After 200 hours or every 12 months, all of the above plus: Remove the steering support rod completely from the engine and thoroughly clean and re-grease the engine steering/tilt tube. This operation can’t be emphasized enough, as it's the most common point in the system to cause problems, usually due to neglecting this step. The inside of the steering tubes on most engines is made of mild steel that will actually begin to rust in saltwater applications. Keep the inside of this tube clean and lubricated, or it will typically be the first point in the system to begin seizing and causing excessive steering effort. Regular inspection and the application of good marine grease at all the points shown will keep the steering smooth and corrosion at bay. Inspect the hydraulic oil for cleanliness. Flush the system and replace the fluid if needed. With proper maintenance, hydraulic steering systems are more durable and reliable than their cable-controlled counterparts. By following the lubrication requirements at the motor end of the system to the letter and periodically retightening the nuts and bolts in the system, especially those exposed to weather and constant use, you will keep your system trouble-free for years to come.